Happy Friday to you! We hope you have enjoyed this wonderful weather we have been having! I know my little guy has, as he keeps asking to go for a ride in his stroller! 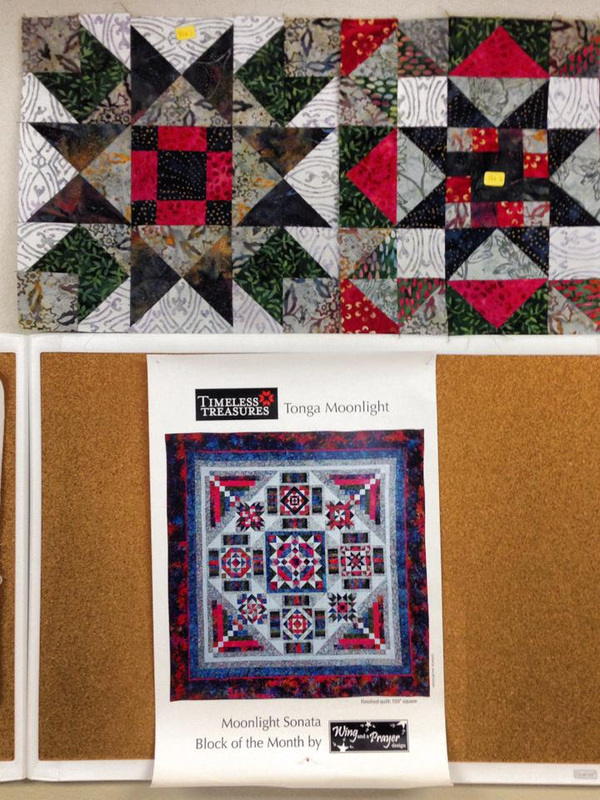 The Block of the Month for Where the Cows Come Home, blocks 2 & 3, are ready for pick-up. Whooterville & Simple Whatnots Club II are also available for pick-up. Moonlight Sonata still has a couple spaces left! This BOM will start in February. 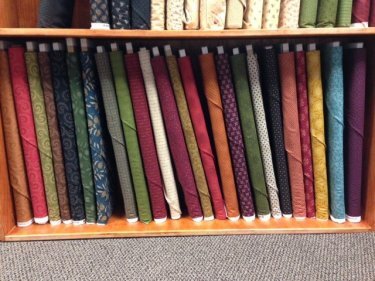 We have moved the line of Kim Diehl - Heritage Hollow fabrics out to the floor! For those who love her fabrics, these will not disappoint! The warm, rich colors are perfect for those who love primitive! 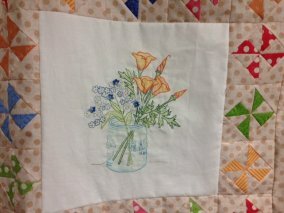 You can find 2 beautiful free patterns at henryglassfabrics.com using these fabrics. It's not too late to join us for the Simple Whatnots Club 2! The Farmhouse Window Sills sample is hung! 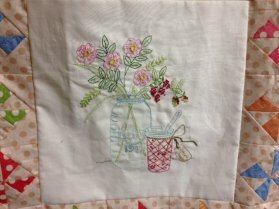 For you ladies who love embroidery work, stop in and check out this sample and kits! It is perfect to put you in the mood for spring. 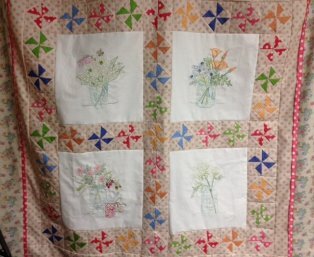 As promised, here is the beautiful batik quilt Bev sewed up using the strip tube ruler. 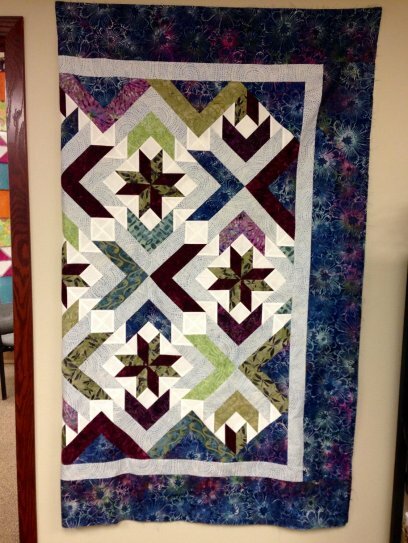 The pattern is called Winter Solstice by Cozy Quilt Designs. Kits will be available by the end of next week. Patterns and rulers are also available here! I hear my sewing machine calling! Be sure to watch for our newsletter next week! Check us out on Facebook!